Inside the NES was a specially-designed chip, and games licensed through Nintendo contained the appropriate key to keep hack publishers from making low-quality games for the console. 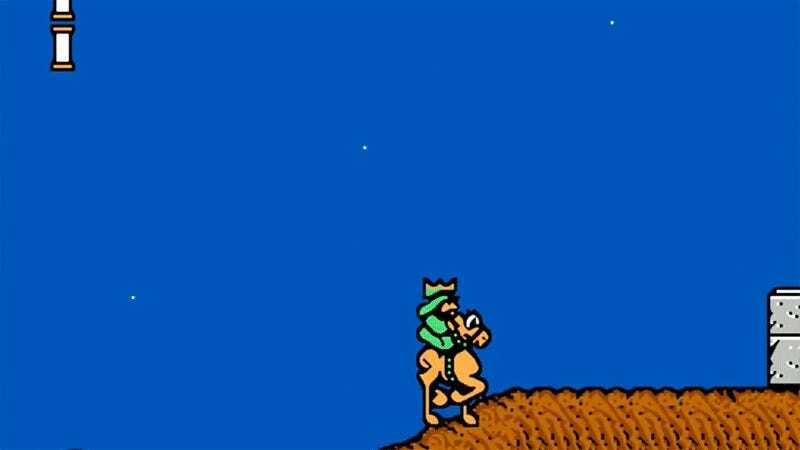 Wisdom Tree was one of the first companies to circumvent this security measure, and it used its unprecedented edge for one purpose: to create janky Bible-themed games. Decades later, WisdomTree still exists, and it’s raising money for a new console. Wisdom Tree still produces some legitimate cartridges. The devout retro gamers among us can buy Super Noah’s Ark 3D ($39.99) or whatever Mr. Bloppy Saves the World ($34.99) is for SNES through its webstore. But what about those classic—and I use the world classic very loosely here—NES games? Well the company began a Kickstarter campaign yesterday to fund the Arkade, a plug-and-play mini-console containing all seven of its 8-bit games. The console is made to resemble the NES controller to a degree that cannot possibly be legally advisable. Image: Arkcade Kickstarer. This seems primed for a lawsuit. The Arkade will come packaged with games like Bible Adventures, Bible Buffet, Joshua — the Battle of Jericho, and King of Kings. (I’ve had the displeasure of playing King of Kings. It’s buggy as hell and the platforming segments are interspersed with slow-scrolling bible trivia questions whose function to gameplay is non-obvious.) At the time of publication, the Arkade Kickstarter has reached $3,050 of its $16,500 goal. At the uppermost stretch goal of the fund ($350,000), Wisdom Tree will bestow unto us “a fully animated motion picture for Super Noah’s Ark 3D,” which might not be that bad, considering it’s just a heavily reskinned Wolfenstein 3D.